In recent days, the country where the next first lady, Melania Trump, calls home did something to protect its citizens: The government of Slovenia amended its constitution to protect its vast supply of clean water from corporate greed. In 2013, as reported by Natural Blaze, then-CEO of Nestle, Peter Brabeck-Letmathe, was heavily criticized when he publicly declared that water is not a human right but instead a market commodity. Nestle, the world’s biggest food company, has led other corporations in privatizing water, many times outbidding entire communities for the right to manage their own water supplies. 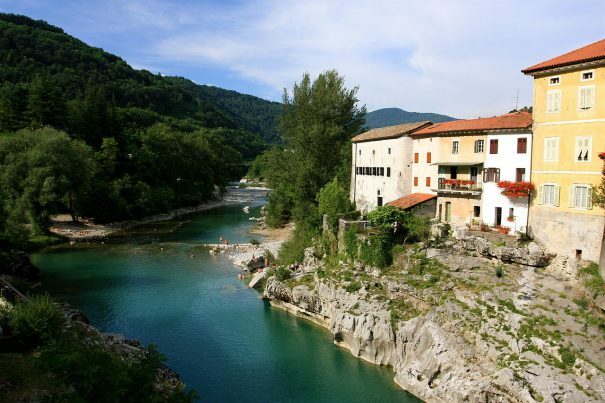 And though Brabeck-Letmathe’s comments may be shared by several Western governments, Slovenia has decided to be proactive in ensuring that its citizens are provided clean water as part of their human – and now constitutional – rights. The Slovenian Democratic Party, however, abstained from voting, saying that the amendment was not necessary. Melania Trump’s place of birth is located in eastern Europe—a mountainous nation with abundant fresh-water resources and more than half of its territory covered with native forestland. Earlier this year, Slovenia was even declared the world’s greenest destination, with its capital, Ljubljana, named the most green European capital city. So this latest move to protect such a vital natural resource from being exploited is only likely to bolster the country’s reputation as an environmental steward. Protecting the country’s water supplies from being exploited (stolen) by corporations is exactly the right thing to do, many believe, in light of dire predictions that so-called “water wars” are likely within the next several years as the resource becomes rarer in drought-stricken nations and they get desperate to replenish lost supplies. In the U.S., for instance, NASA has argued that California will run out of water altogether as early as next year as the long-running drought there and in surrounding states continues to take a toll. In addition, droughts, desertification and mismanagement of water supplies are also going to cause crises in many regions because conditions are not likely to improve anytime soon. One country particularly hard hit—Pakistan—is armed with nuclear weapons. Indeed, entire ethnic groups are already in danger of going extinct due to no water access. But this issue, unfortunately (though typically), does not receive much attention within the corporate-owned media. Even the alternative media has reported little on the approaching water catastrophe that is facing the planet. That means people in many countries are completely in the dark about just how tenuous the situation is in some parts of the world. At the same time, corporations like Nestle are working to expand their ownership and extraction of fresh water so they can bottle it and sell it for a profit.